Are you interested in installing a great audio system in your vehicle that will make your car thump? If this is the case, there are many different items you will need to purchase. You’ll need an amplifier, some speakers and definitely a subwoofer. Although many people focus on the other items more intently, the subwoofer is equally important and should never be ignored. What do you need to look for when purchasing a subwoofer? Within this guide, you will be able to find out! When browsing the various subwoofers on the market, you will find that there are many differentials between them. In order to make the right selection for your particular situation, you will need to weigh the pros and cons of each subwoofer, as well as their specifications and features. Below, you will find a breakdown of some of the most important features to consider. Two Types – First and foremost, you will find that there are two different types of subwoofers. There are passive subwoofers, which must be powered by an external amplifier. On the other hand, there are powered subwoofers, which actually have their own amplifier. Both options are great, but powered subwoofers might be best for beginners. Frequency Range – The frequency range is important for figuring the exact range that the woofer is capable of delivering. Although this figure might not always be completely accurate, it will provide you with a good estimation. RMS Power – When looking at these devices, you will be greeted with a number of different figures. One will be the RMS power. Although peak power is important, it can be ignored, if you focus on the RMS power. This tells you how much power the woofer can handle consistently. Sensitivity – The sensitivity of the woofers will usually be clarified in decibels or dB. This can tell you how efficiently the woofer is capable of transferring power into sound. A higher sensitive speaker will need less power, in order to play loudly. Enclosures – Some subwoofers will come with their own enclosures, while others will not. If you want to save time, you’ll purchase the combination together. If you want more customization, you should opt for the other option. Sealed, ported, band pass and free air subwoofers are all available for you to choose from. Size and Weight – When choosing your speakers, you should make sure to inspect the size and weight of the item. Make sure that they’ll perfectly in your vehicle, without difficulty. This may be a concern for those with trucks and small vehicles. Overall, the above factors are exceptionally important and should not be ignored. 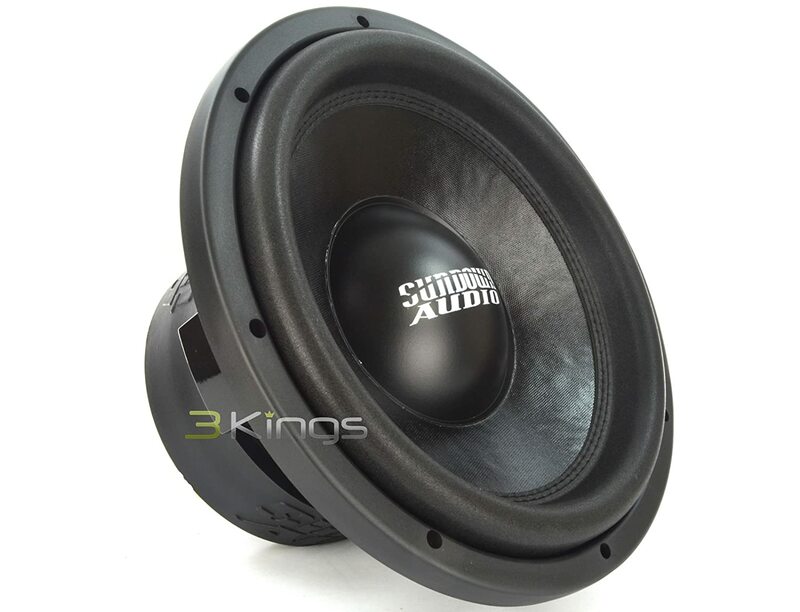 Below, you will find a breakdown of some of the best car subwoofers on the market. Be sure to consider the aforementioned factors, when comparing these woofers. Everyone that loves music and cruising around will definitely be depending on a speaker system to provide them with a high-quality sound. Orion is a well-known brand that develops high-quality subwoofers that will withstand the test of time. Not only are their products superiorly designed, but they are constructed to offer longevity. Below you will discover more information about the Orion HCCA152. The HCCA152 has an eye appealing design that will look wonderful in a deep box. This subwoofer is extremely large and will make your neighbor’s head turn, when you cruising your neighborhood. The mounting hole diameter is 15.6” and the depth for mounting is 12”, so be sure to keep these numbers in mind, when purchasing or building a box. The HCCA152 exterior is layered with an Amide resin coating, which can withstand high temperatures. The cooling system will prevent the subwoofer from overheating, which will keep the inner components safe and sound. The Orion HCCA152 is not designed for the weak at heart. This subwoofer will never let your down, because it is a high performance speaker. If you’re looking for the most convenient purchase possible, you’ll definitely want to check out the MTX Audio Terminator. With this dual subwoofer, you won’t have to worry about purchasing a separate enclosure, since everything is bundled together. Instead, this specific unit comes with two 12-inch woofers, which can handle 1,200 watts total. The combination will allow anyone to conveniently and effortlessly add a thump to his or her vehicle’s audio system. One of the most impressive aspects of all is the fact that this woofer package is covered by a 5-year limited manufacturer warranty. The woofers are capable of handling 400W RMS. The overall dimensions are 14 by 29 by 13 inches. The enclosure is manufactured from 5/8” MDF, which guarantees that they’ll last for an incredibly long period of time. 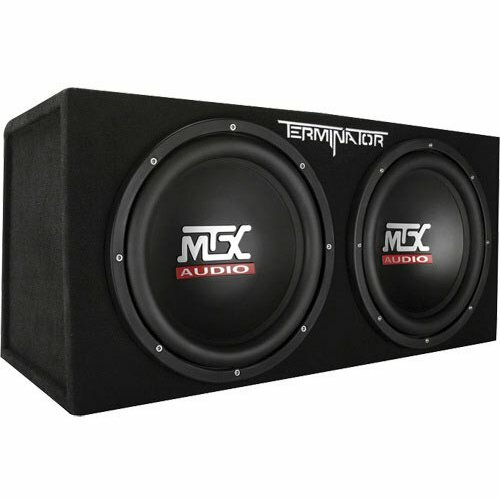 When utilized with the MTX Thunder500.1 Amplifier, these woofers can pack a punch and deliver a thunderous thump. The package only weighs about 30 pounds, which guarantees that you won’t have a lot of difficulty getting it into your vehicle. At the end of the day, a lot of consumers will love the idea of the MTX Audio Terminator. It provides you with almost everything you need to enjoy awesome bass in your vehicle! When paired with the right amplifier, these woofers can deliver a totally satisfying experience, which is unparalleled. If you don’t want customization, be sure to check out these woofers today! Are you looking for a great subwoofer, which has received majorly favorable reviews? If so, you should definitely check out the SA-12 D2 REV.3 from Sundown Audio. This woofer might be a little costly, but it will provide you with longevity and a very handy 2-year warranty, which protects against defects in workmanship and materials. 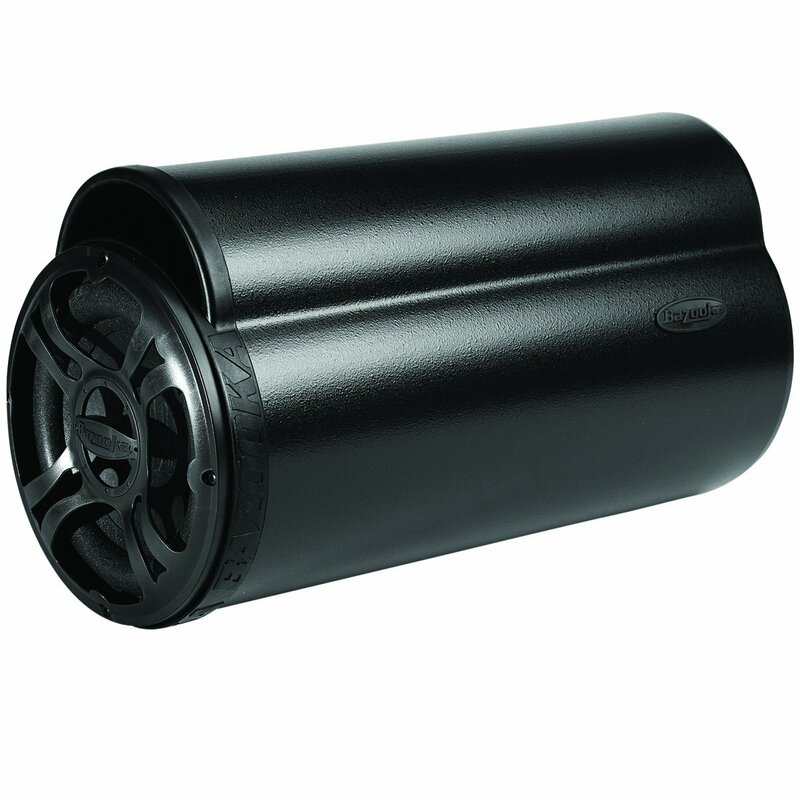 The woofer is manufactured with heavy-duty black anodized aluminum voice coil formers, which ensures maximum strength. For improved voice coil cooling, highly efficient airflow management is integrated into the motor. This woofer is a little bit heavy, at almost 29 pounds. These 12” speakers deliver 750W of power. They’re designed to help reduce inductance and inductive distortion. The woofers are capable of achieving an output of over 150 dB! The speakers are capable of running 1,000 watts and more! When compared to many others, these subs can get lower and thump harder than many others. They sound significantly better than many of its competitors. Overall, there is a lot to like about the SA-12 D2 REV.3 subwoofers. They’re fairly affordable, well made and will deliver a massive thump. For that, you should definitely explore them in further detail right away! If you are searching for an affordable 12” subwoofer, you should look no further than the Rockford Fosgate P3D2-12. This brand is very well-known to individuals that love to listen to music, while they are driving long distances. Below you will discover more information about the P3D2-12. The anodized aluminum cone is covered with a dust cap, which will prevent small debris and dust matter from coming into contact with the cone and other inner components. This feature along will offer an extended service life, because the smallest debris can damage these fragile components. The voice coils are constructed out of materials that are capable of withstanding high temperatures. The spider venting feature will allow the air to flow throughout the subwoofer. This will keep the entire woofer cool, even when utilized for long periods of time. If you plan on developing your own box, you should take note of the following measurements cutout diameter is 11 ¼” and the mounting depth 6.66”. The Rockford P3D2-12 offers 600 watts RMS of power handling capabilities. Make sure that you install the subwoofer into the box appropriately, because if it becomes loosened at any time, damage may occur. The Rockford Fosgate P3D2-12 is suitable for any teenager that wants to soup up their vehicle’s stereo system. Some consumers are interested in customizing their own subwoofer. If this sparks your interest, you should definitely check out the Bazooka BTA850FH Subwoofer Kit. With this kit, you choose between a variety of different wattages, including 50, 100 and 250. When choosing the 50-watt option, you will receive an eight-inch bass tube, which delivers 50-watt at 2ohms. These woofers are very efficient and have been specifically designed and reinforced to be used in bass tubes. The kit includes a BTAH extension cable and the universal FAST-9999, which provides for an effortless installation. When using this specific woofer, you will be able to receive a frequency response of 39 Hz to 250 Hz. This woofer is designed with optimized corner loading, which helps to deliver the most impressive bass performance possible. The overall size of this woofer is 10” H, 8.5 W and 18” L. They’re capable of offering a crossover range of 250 Hz. They weigh approximately 28 pounds, which makes them easy to carry about. The woofer is covered by a very helpful 1-year warranty, which improves its overall value. When it comes down to it, there is a lot to like about the Bazooka BTA850FH Big EZ Bass Amplifier. It can deliver awesome audio quality for the price and is tremendously easy to install. If you’re looking for affordability and options, this woofer could be the right one for you! Are you looking for an even more affordable subwoofer? If so, you should take the time to check out the Infinity ﻿Reference 1262W. These are fitted with coated glass-fiber cones and are surrounded by rubber. You’ll need to purchase your own box. Your best bet is choosing a 1.0 cubic foot sealed box or a 2.0 cubic foot ported box. Both options will be able to deliver deep, satisfying bass. These are 12 inch woofers, which offer an output wattage of 1400 maximum. As far as RMS power goes, these woofers can deliver 350 watts. These woofers offer 2 ohms or 4 ohms of impedance. They have a sensitivity rating of 91 dB. Their frequency response is 23 to 400 Hz. When purchasing this woofer, you will receive the woofer, foam-mounting gasket, 3mm hex wrench, technical data sheet, and the owner’s manual. For added assurance and peace of mind, these woofers are covered, by a 1-year manufacturer’s warranty. Overall, the Infinity Kappa 120.9w Subwoofer is an excellent option for a lot of individuals. It can handle a great amount of power and never falters! For that, you will definitely want to give them a longer look! Everyone that knows anything about car stereo systems definitely knows Alpine brand. This manufacturer has been in business for many years and produces some of the finest stereo equipment on today’s market. The Alpine Type R Series is definitely a subwoofer that cannot be ignored. Below you will discover more about the SWR-1522D. This 15” subwoofer is uniquely designed to handle 750 watts of RMS. 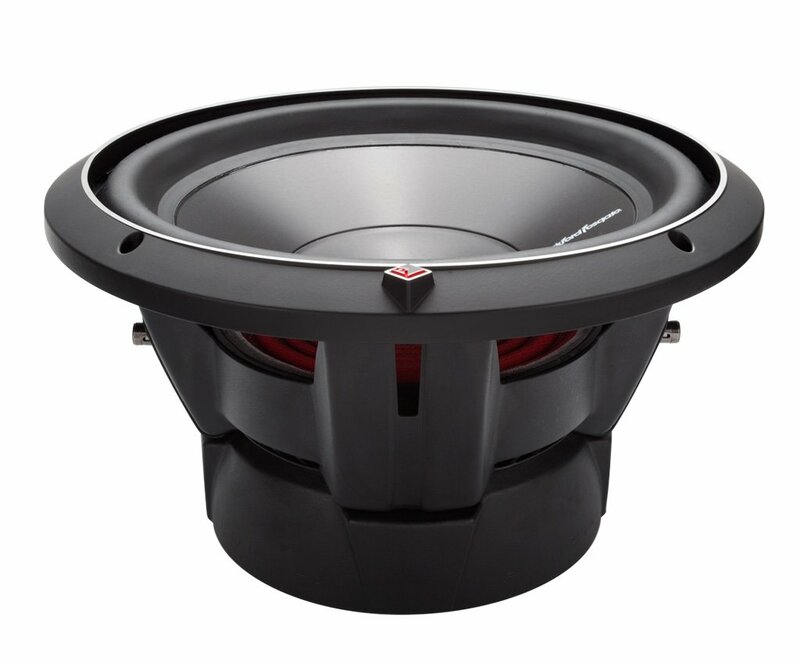 If you are looking for big bass, be sure to look no further than the Type R subwoofers, because they are designed to withstand the test of time. The built-in cooling system is capable of keeping the interior components and exterior construction from overheating. You will receive a clear clarity and loud bass, without extortion, even when played at a very high volume. Make sure to take the time to view and read the installation instructions thoroughly, before you take on the DIY task. The Alpine Type R Series SWR-1522D is a very high-quality subwoofer that will offer an extended service life. 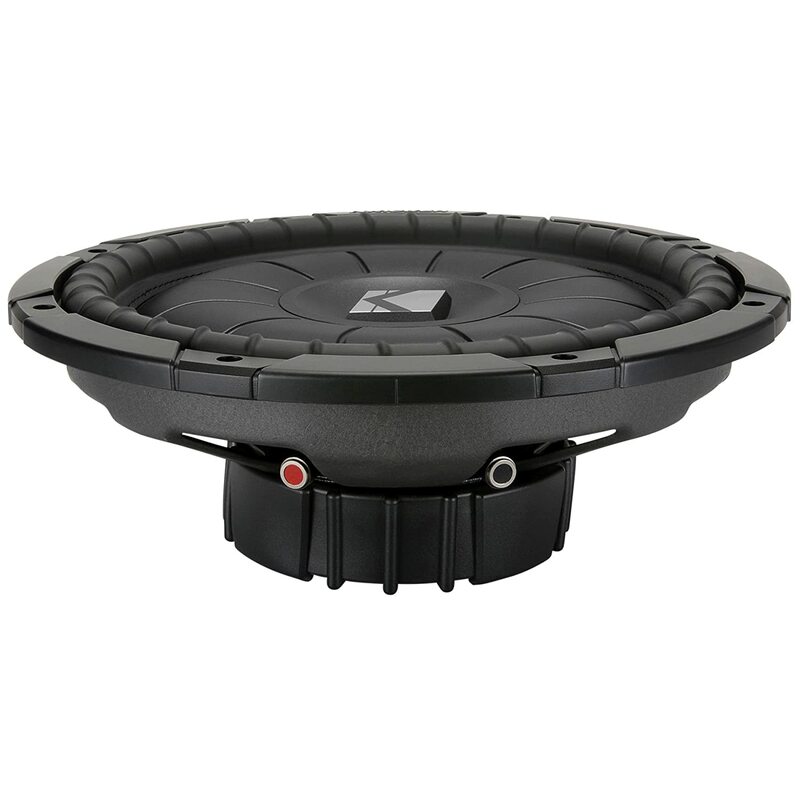 If you’re looking for a great subwoofer, but want to save money, you should definitely check out the Kicker CVT124 12” Single 4 ohm Car Subwoofer. These are 800-watt woofers. They’re 12 inches. As mentioned in the name, these woofers operate at 4 ohm. Although the peak power is 800 watts, these woofers are capable of handling 400 watts consistently. The speaker is capable of responding to frequencies from 25 to 350 Hz. In order to provide you with more peace of mind, the woofer is covered by a 1-year Manufacturer’s warranty. The woofer is manufactured with super strong adhesive and stitching, which ensures that the cone doesn’t detach from the surrounding. The shallow mount design provides the consumer with a very satisfying deep bass sound and a big thump. 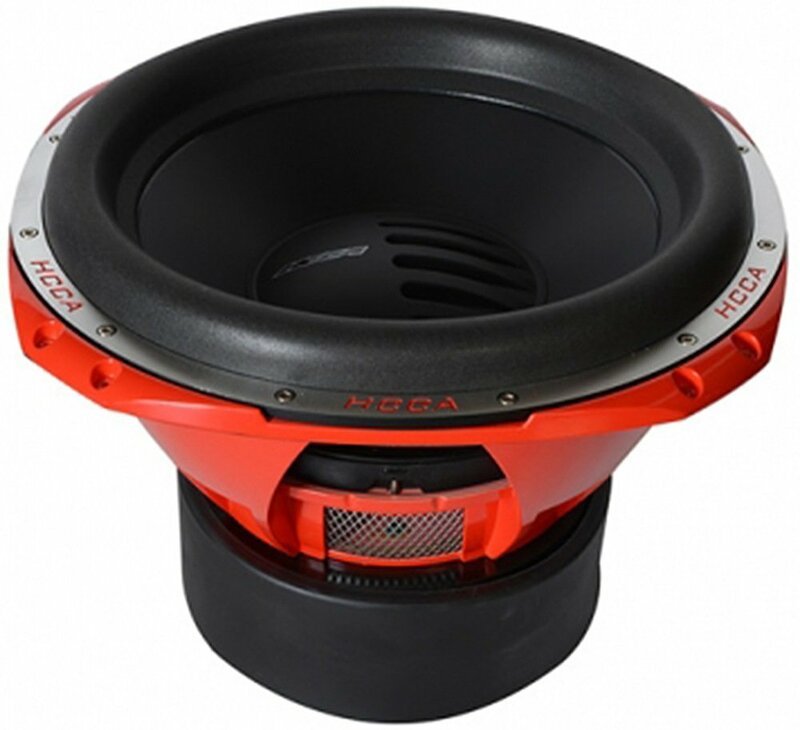 Overall, the Kicker CVT124 12” woofer is a great product. Although it has a few flaws, the pros ultimately outweigh the cons. If you’re looking for an affordable and hard-hitting woofer, this one is well worth checking out further.